As an actor we always need another job. A job that fits in well with our unpredictable acting lives, and I am very lucky to have found a wonderful little job at Little Stars Theatre Workshops. We are a local and independent theatre school. We offer a range of classes starting with pre-school and going up to 16. We pride ourselves on being a fun and education theatre school. The school was founded in August 2011 by Charlie Condron and our schools have grown since then. I started working for Charlie in January 2014 when I saw a job post on Casting Call Pro looking for party hosts with Little Stars’ sister company Party Stars. I dress up as the child’s favourite character and entertain the children taking them on a magical edventure singing, dancing and playing games along the way. Lots of fun! After about 4 months Charlie contacted me asking me if I wanted to open up Little Stars’ first school outside of Essex. I grabbed at the chance to become the manager of a new Little Stars school. Little Stars Colney Heath has been open a year now and I have loved every minute of it. We have weekly classes every Tuesday at Colney Heath Village Hall. 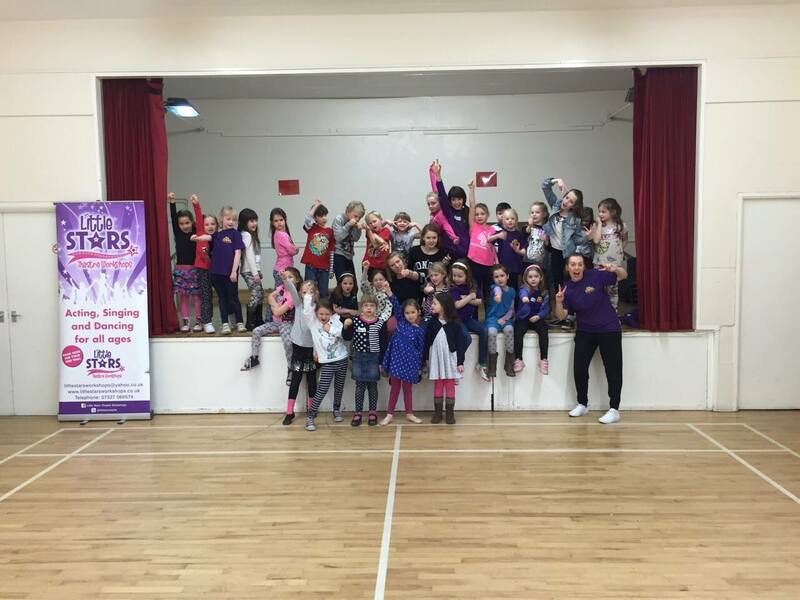 3.45-4.40pm is our Twinkling Stars class for ages 3-6 and then we have our Shining Stars class from 4.30-6pm for ages 6+. They are such a talented wonderful bunch of kids. 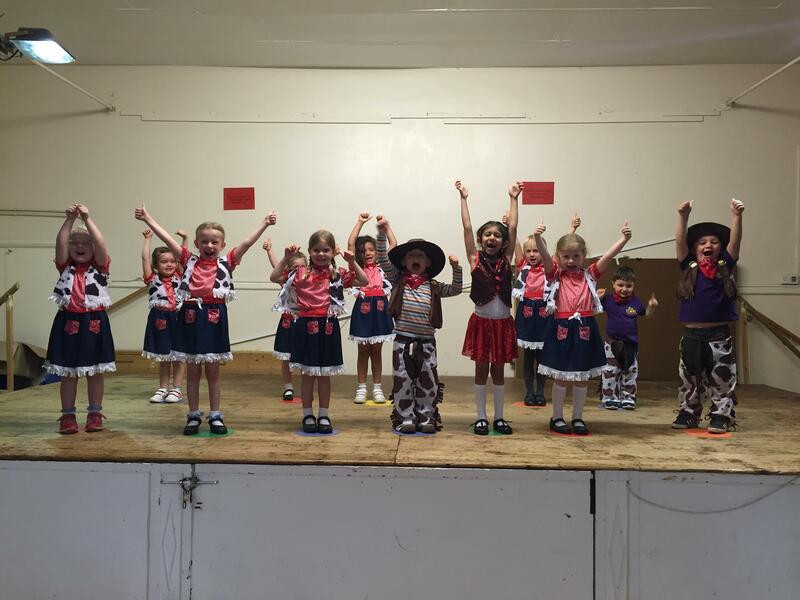 Every term is themed and at the end of the term we hold a fully costumed performance on the stage for all the parents. We hold wonderful workshops too. The one the above picture was taken from was our Matilda Workshop where we had a member of the West End cast come along and teach all the children a routine from the actually show. Then we held a performance for all the parents. Opportunities like this are wonderful for children. Lots of them go to the theatre and see these incredible shows, so when a member of the cast comes to their Theatre School and hosts a half day workshop teaching them exact routines they see in the show, it’s very exciting for them. Some of them at the workshop want to be professional performers, so this opportunity is like dipping their toes into a wonderful career. I loved these opportunities when I was at dance school. We had Wayne Sleep come in and do a workshop with us one year and I was in my element. I felt like a true professional and it secured my love of performing and wanting to enter into this career. Little Stars is a platform for me to be creative but more importantly, it’s an opportunity for children to be creative, improve their confidence and grow!